I used to think that Tofutti was the best because they they are the oldest in the business and make many popular flavors like Mint Chocolate Chip. I even like some of the Rice Dream, Purely Decadet and Soy Delicious ice creams. I am picky as I have tried nondairy ice creams that could not even grow on me. 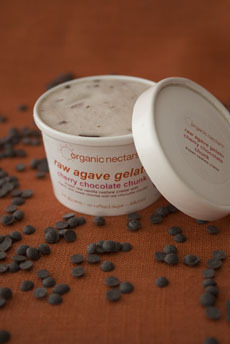 *Editor's Note: Organic Nectars has a few other delectable goodies, especially their Organic Nectars Chocagave Flavored Agave Syrup which makes an amazing topping to ice cream! Join in and write your own page! It's easy to do. How? Simply click here to return to Favorite Vegan Ice Cream.